When you think about your annual expenses, you might think that auto insurance is a major drain on your finances, and while we all want to save as much as we can, auto insurance in fact only accounted for 2.19% of overall consumer expenditure in the United States in 2009 (the most recent data) – or less than people spend on telephone bills. We looked into statistics by the US Bureau of Labor Statistics and found that in all four regions of the United States (Northeast, South, Midwest and West) auto insurance accounted for a smaller portion of consumer expenditure than telephone costs, and only slightly more than what US consumers spend on television & audio. 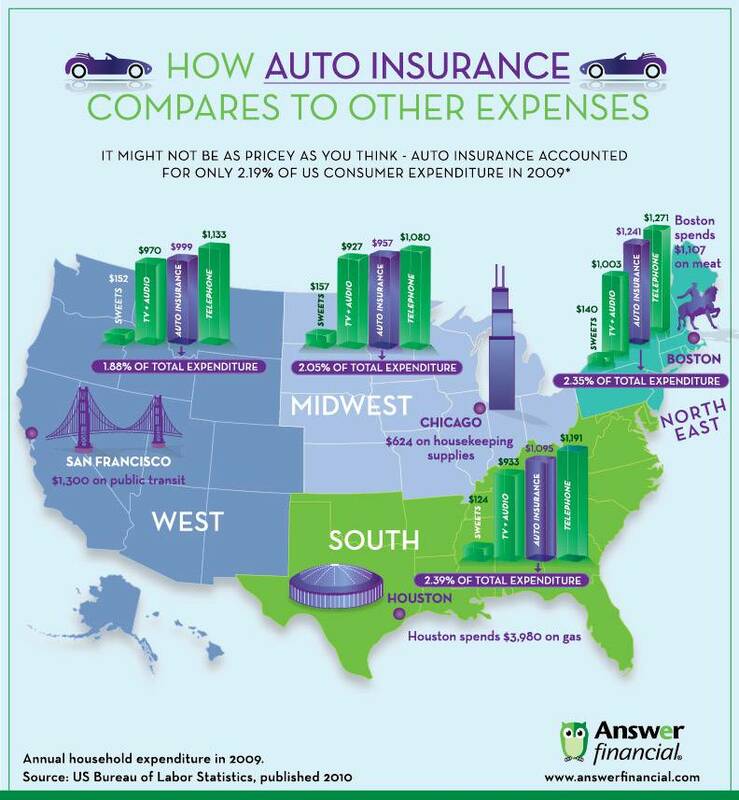 Take a look at our latest infographic below for more comparisons between what people pay for auto insurance to what they spend on sweets nationwide, meat in Boston, housekeeping supplies in Chicago, gas in Houston and public transit in San Francisco. Are you surprised by these statistics or are they in line with your own expectations and experience?